This is the first of several posts about the "find" command line utility. Below, we'll introduce some basic practical usage to help get you started with using this handy piece of software without getting in too deep. 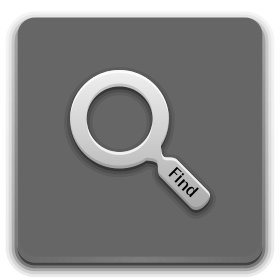 The find utility can be useful to people of all skill levels that want to search for files. More skilled users could perhaps carry out some action on each file matching certain criteria. The more you learn about this powerful utility, the more searching magic you can unleash on your file system. In this post, we'll run over some of the searching basics that beginners are more likely to find useful. Note that the "/" tells find to start searching at the root directory level. Notice the use of the wild card "*" and that when you use it, you should enclose it in quotes so the bash shell doesn't try to expand it - i.e. if you don't use quotes, you probably won't get the result you are looking for. The easy way to explain this without scaring beginners is that: a short name for standard error in bash is simply "2", the above command basically sends or redirects anything that is an error to /dev/null so it doesn't make it to your terminal (which is where errors get displayed by default). Don't worry if you don't understand this, but if you'd like more info, we'll cover it in more detail in our bash tutorials. From now on, we'll omit both sudo and redirecting to /dev/null to keep things simple. find . -mindepth 2 -name "*.txt"
This will ignore files in the current directory and only provide the matching files from subdirectories. Note that a mindepth of 1 would find all files (except any on the command line). find . -maxdepth 1 -name "*.txt"
This maxdepth of 1 will not bother searching any subdirectories, while a maxdepth of 2 would provide any matches from the current directory and the first level of subdirectories (but not subdirectories of the subdirectories!). Find's treatment of symbolic links depends on the options "-P", "-L", and "-H". By default, find uses the behaviour of "-P" which tells find that it should never follow symbolic links. Specifying "-H" will tell find not to follow symbolic links except any specified as part of the command line. The "-L" option is the more interesting of the three because it tells find to follow symbolic links and to include any matches in the search results. So lets say there is a symbolic link in your home directory to a directory called /var/tmp/mystuff, ordinarily find would not search /var/tmp/mystuff, but if you specify "-L" the link will be followed and any matches will be included in the search results. For example, assume /home/tutonics/somedir contains a symbolic link to the dir /var/tmp/mystuff and that /var/tmp/mystuff contains the file "info.txt". The below command will return info.txt from /var/tmp/mystuff directory in the results. find -L ~ -name "*.txt"
will not include info.txt because the link to /var/tmp/mystuff is not followed (as per default behaviour).